No, the Russian Bear is not coming to get you, US independent journalist Conn Hallinan notes, stressing that there is no evidence that Moscow is threatening Eastern European states. Washington's policy makers have evidently got a bee in their bonnet about a growing "Russia's threat," referring either to the outdated specter of the Soviet Communism or the revanchist Third Reich; both historical analogues are fundamentally flawed, according to American columnist and independent journalist Conn Hallinan. "Yet comparing the civil war in the Ukraine to the Cold War — let alone Europe on the eve of World War II — has little basis in fact… [T]here is no evidence that Moscow is threatening the Baltics, or even the rest of Ukraine. Indeed, it is the West that has been steadily marching east over the past decade, recruiting one former Russian ally or republic after another into the North Atlantic Treaty Organization (NATO). Nor did the Russians start this crisis," Hallinan underscored. Both Washington and Brussels contributed a lot to the ongoing turmoil in Ukraine when they supported the infamous February coup of 2014 in Kiev, instigated by extremist neo-Nazis. Moscow labeled the "regime change process" a coup d'etat and it was not alone in thinking so, Hallinan pointed out. He cited head of the international security organization Stratfor George Friedman, who called the February 2014 events in Kiev "the most blatant coup in history." "[The coup] had western fingerprints all over it. 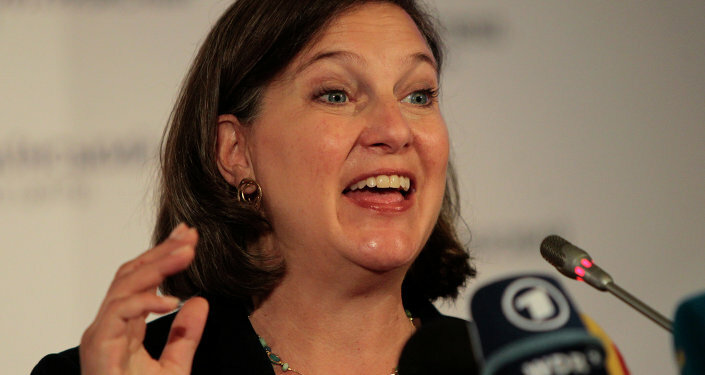 US Assistant Secretary of State Victoria Nuland and US Ambassador Geoffrey Pyatt were recorded talking about how to "midwife" the overthrow of Yanukovych and who to put in his place," the journalist remarked. However, it was the West who started crying wolf over the imaginary "menace" of Russia, while ignoring the obvious fact that "NATO spends 10 times what Moscow does on armaments." "[T]here is not a military analyst on the planet who thinks Russia is a match for US. To compare Russia to the power of Nazi Germany or Soviet military forces is to stretch credibility beyond the breaking point," Hallinan pointed out. So, what is the reason for such an irrational and illogical behavior? According to the journalist, there are a number of "actors" in Washington who benefit from the alarmist and warmongering rhetoric. There are neoconservatives, like Victoria Nuland, her husband Robert Kagan, former Defense Department Undersecretary Paul Wolfowitz, Elliot Abrams, and former UN Ambassador John Bolton, which are still dreaming of the "New American Century." There are the Pentagon generals with an itch for a fight and there are NATO senior officials who want the alliance to become "a worldwide military confederacy." Although both Iraqi and Afghani campaigns ended ingloriously, this fact has not discouraged US neocons and militarists. "The neocons believe in aggressively projecting American military power and using regime change to get rid of leaders they don't like," the journalist stressed, adding that they are "well placed and persistent, and if Bush is elected president there is talk that Nuland will become Secretary of State." On the other hand, there are military industries, electronic companies and defense firms which "need enemies," particularly large ones, like Russia and China, Hallinan remarked, adding that there is a split among Washington's policy makers over whether Moscow or Beijing is America's major rival. "At least part of the problem is that US foreign policy requires enemies so that it can deploy the one thing we know best how to do: blow things up. 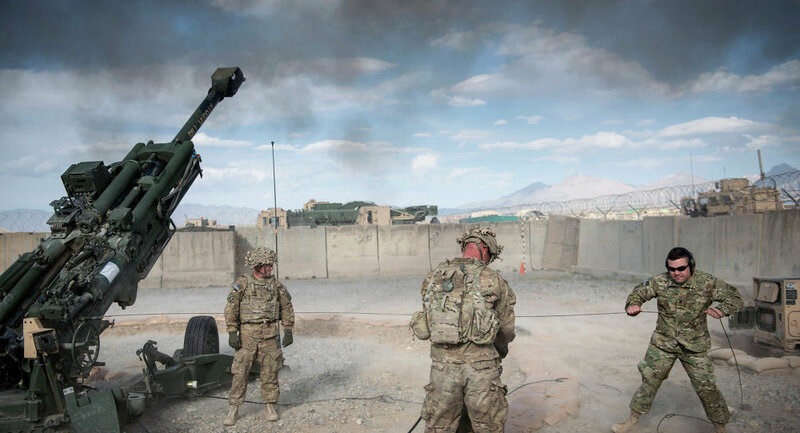 The fact that our wars over the past decade has led to one disaster after another is irrelevant, explained away by "inadequate" use of violence, lack of resolve or weak-kneed allies," the journalist emphasized. What makes matters even worse is that America's presidential candidates (with the exclusion Bernie Sanders) are dying to confront either Russia or China. "Both are hideously dangerous policies," Hallinan warned, stressing that neither of them is in interest of the American people, let alone the rest of the world.